We’ve all been there. 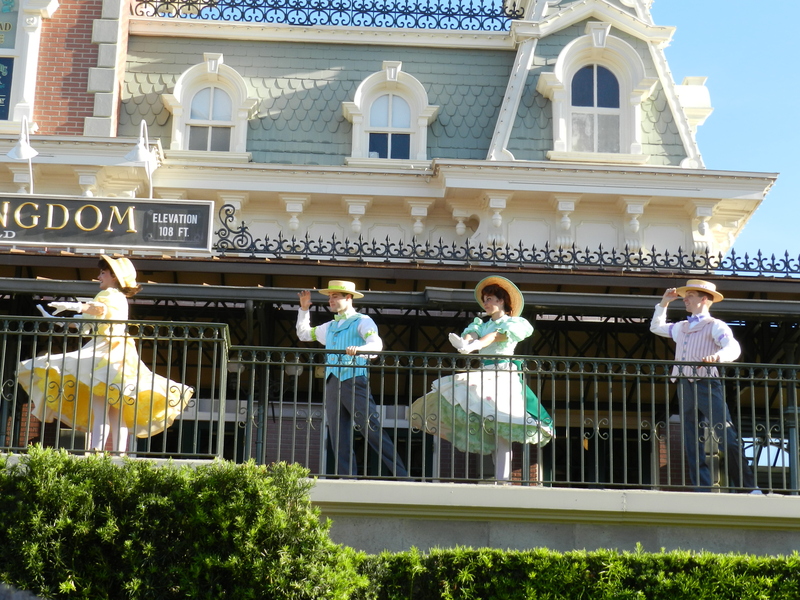 A perfectly sunny day at Disney World can turn into one with drenching rain that the drop of a hat. The good news is that rain doesn’t need to ruin your fun! There are plenty of things to do at Disney World when the drops are falling. The first and most obvious suggestion for what to do at Disney in the rain is to don your poncho and flip-flops, and power through! A lot of times this choice will pay off in the form of shorter lines for attractions, which is always a good thing. Often (usually in the summer) the rain storms are over quickly and you can get back to your regularly scheduled fun. 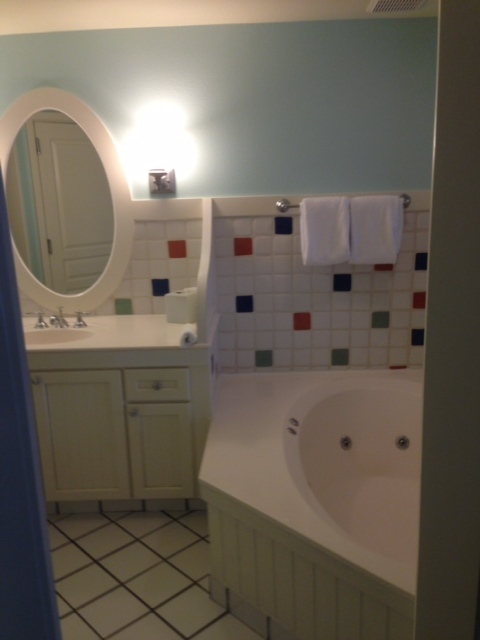 Check out some Walt Disney World Resort Hotels. 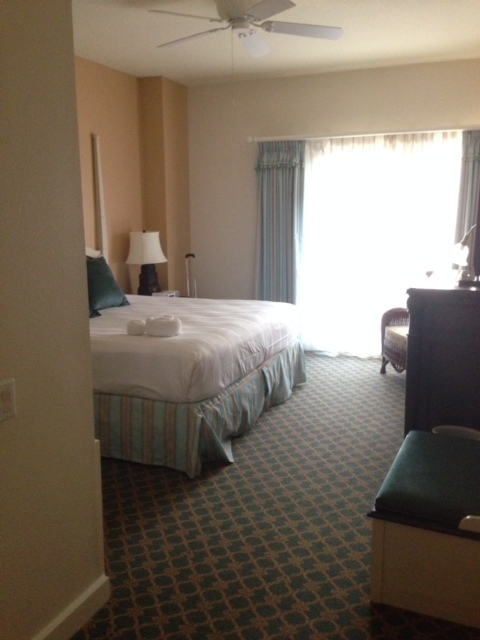 It might give you an idea of where you’d like to stay for your next vacation! 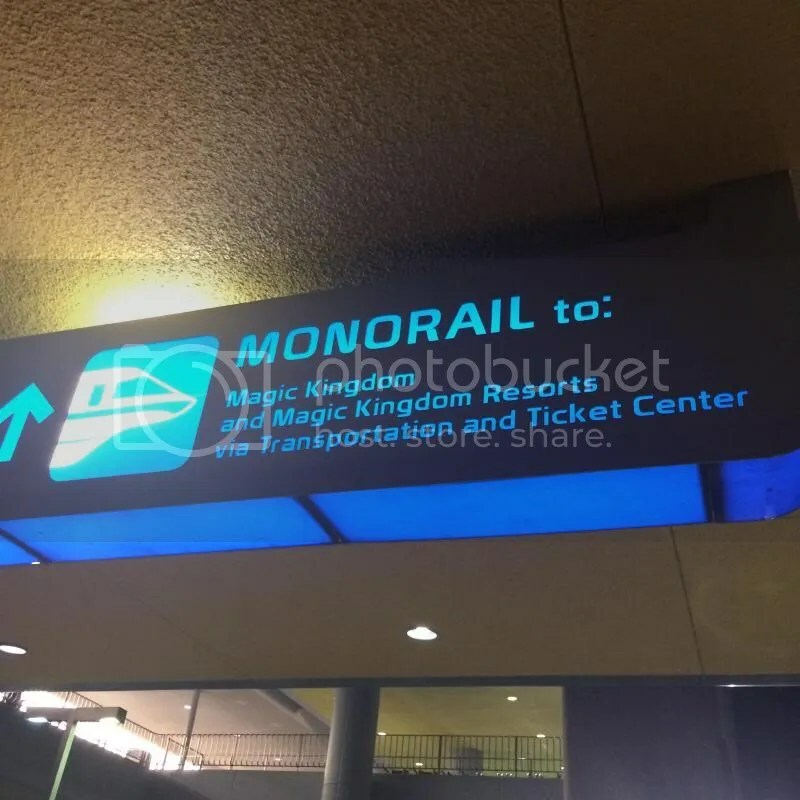 A popular plan is to board the monorail and see the Polynesian, the Grand Floridian, and the Contemporary. 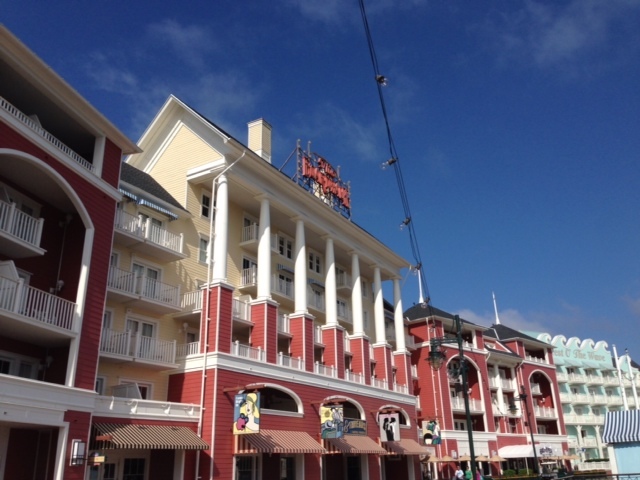 These are three of Disney’s most popular resorts! Each resort has its own atmosphere. 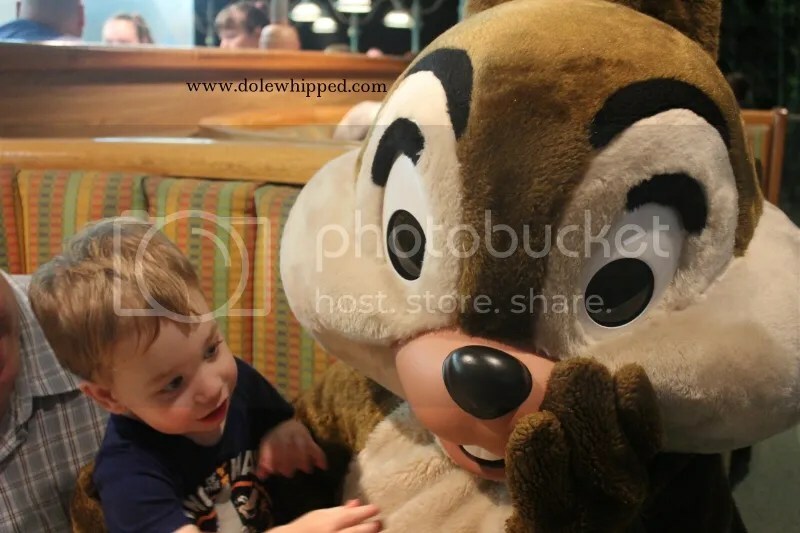 You could grab lunch at one of their counter service restaurants, walk around and see the unique Disney touch at each hotel (including some Hidden Mickey’s!) and do some shopping at the gift shops. Hang out at Disney Springs. 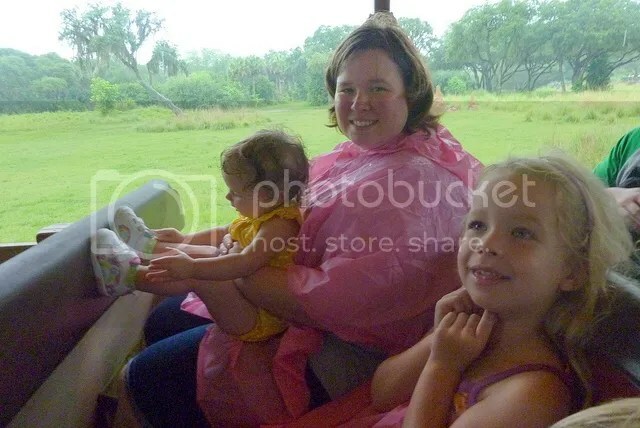 You could easily wait out even the longest rain storm at World of Disney alone! World of Disney is a 50,000 square foot store filled with everything Disney. I personally love the jewelry and women’s clothing sections. I usually get all my souvenirs here because there really is something for everyone. You could also check out Disney’s Pin Trading store, Disney’s Days of Christmas (my favorite! I love all the ornaments), the Art of Disney with amazing artwork, and tons of other stores. 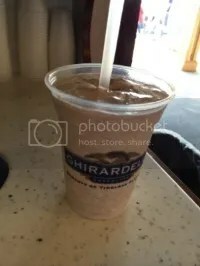 My personal recommendation is to end your time at Disney Springs with a treat from Ghiradelli! Go swimming! Provided there is no lightning, of course. Otherwise, it’s a perfect time to check out the pools! 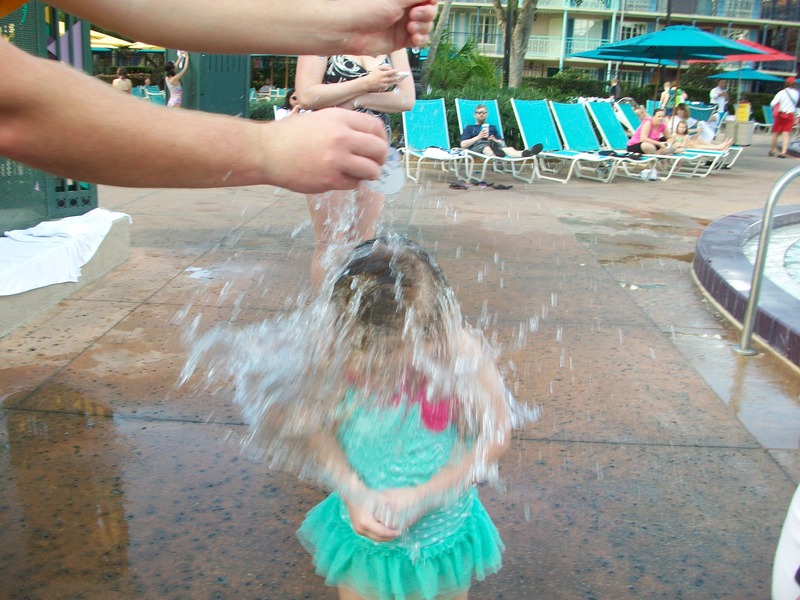 Disney resorts have a variety of water fun options, from splash pad areas to water slides and themed pools hanging out at the pool is always fun. What do you do at Disney when it rains? Let me know if I’m missing out on some fun ideas! 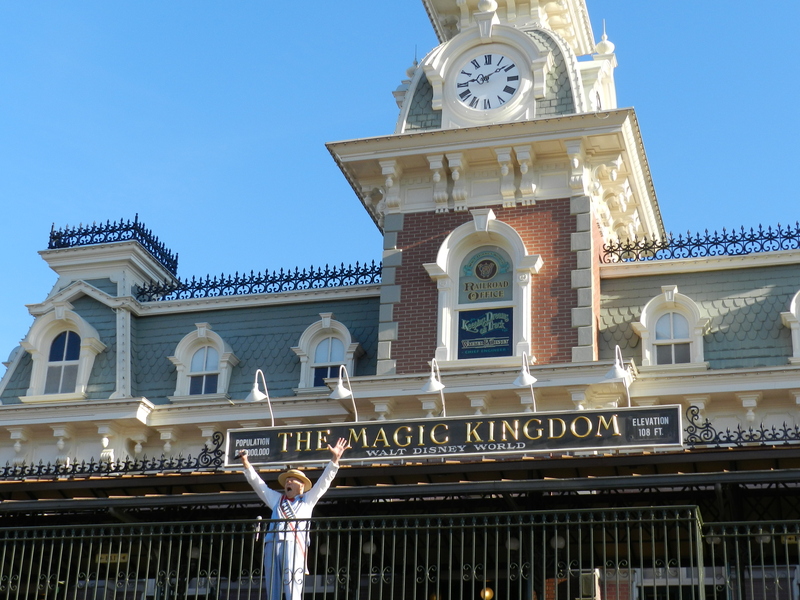 Before we took our vacation I wanted to be able to have my family take a look at the park layouts. Some of the parks are very large and set up in interesting ways. For instance the Magic Kingdom is like a wheel with spokes and a hub, Epcot is similar but has a circular World Showcase. Then Hollywood Studios is just plain confusing. A way to help combat the overwhelming feeling of going into the parks without an idea is to order park maps! The maps are totally free and Disney will delivery them pretty quickly. 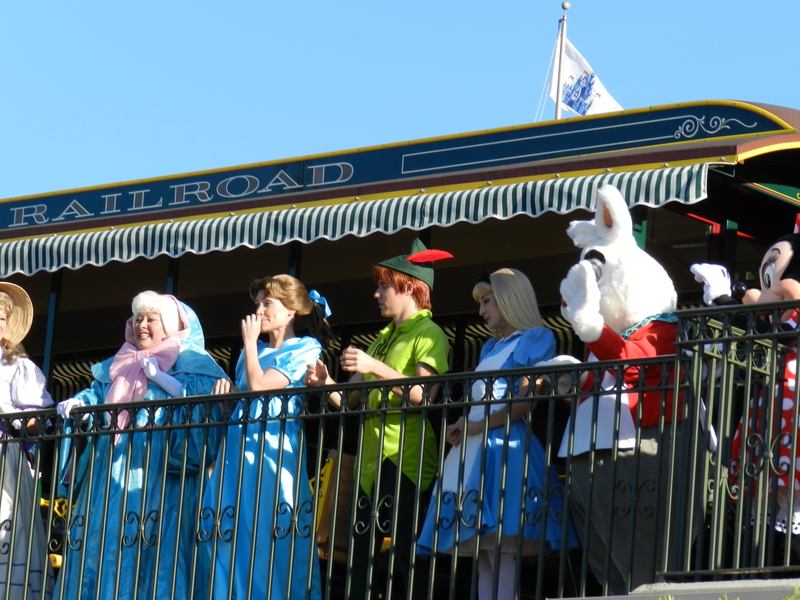 You can check the attractions that are favorites, or ones you really want to try out. We had a lot of fun using the extra stickers to mark attractions that we wanted to do. It also really helped give me a general idea of where things were located. I highly recommend you place an order after you book your trip but before you are going to arrive. Of course you can get park maps at the parks, they are smaller, thinner, and tri-fold. 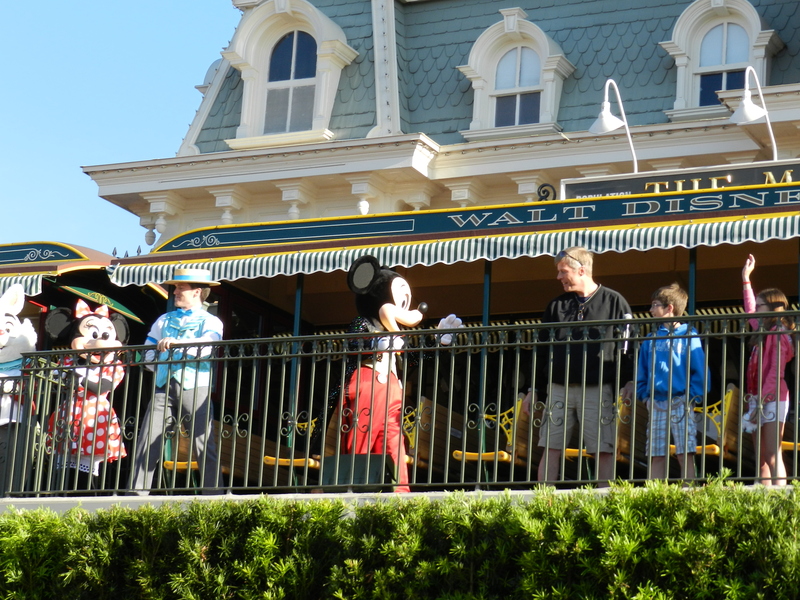 It is always a great idea to pick up a map and times guide as soon as you enter the parks. This will help you plan out your day and they fit easily in your pocket or bag. 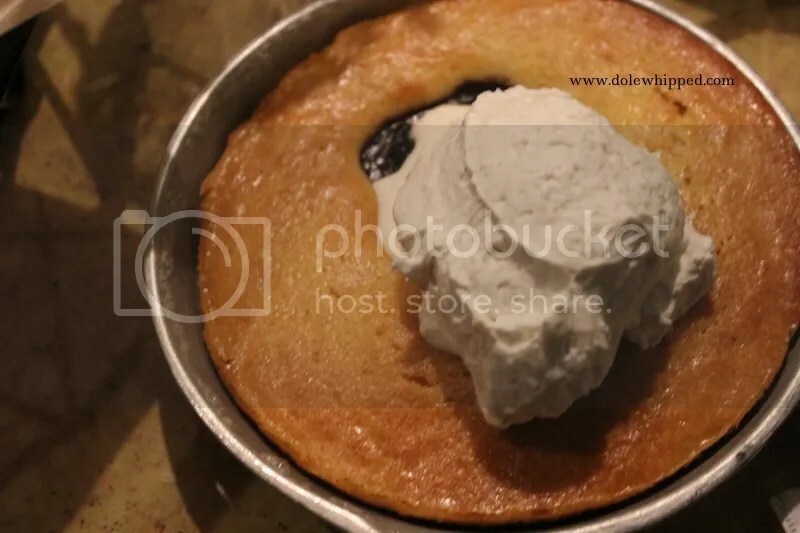 In the 6th episode of the Dole Whipped: Dishing on Disney podcast Shannon, Dana, Jillian and Jamie discuss character meals: their favorites and not so favorites, best values and hidden gems! Happy listening! With the summer finally headed our way, I have HEAT on the mind. As bad as it seems in New England sometimes, Florida heat during the summer can be absolutely brutal. Don’t despair! 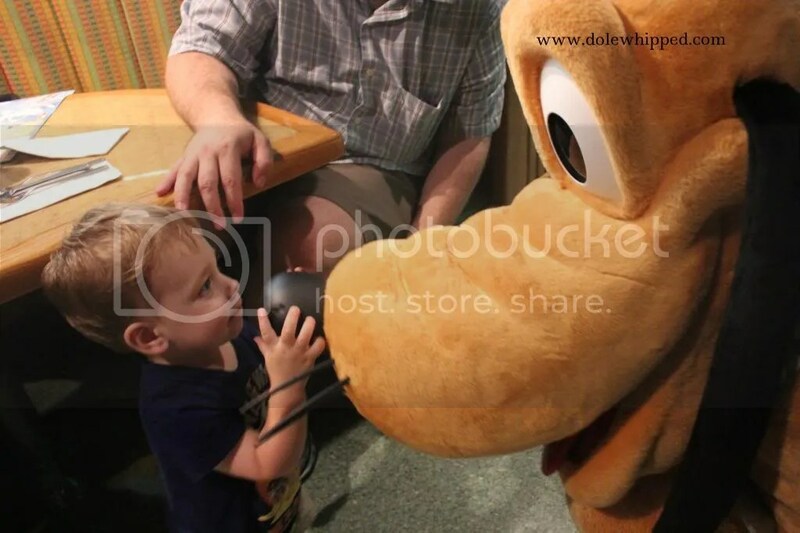 There are ways to stay cool at Disney, and I’m going to tell you about them! 3) If you have the water parks and more option on your tickets (or if you’re a promo client and got a one day entry for FREE!) head to a water park to cool down! With the water parks and more tickets you could enjoy a water park every day (that you have a ticket for, that is) if you so choose. Typhoon Lagoon and Blizzard Beach are both great options. If you don’t have water park tickets you can always enjoy your resort pool (moderates and above even include water slides!) 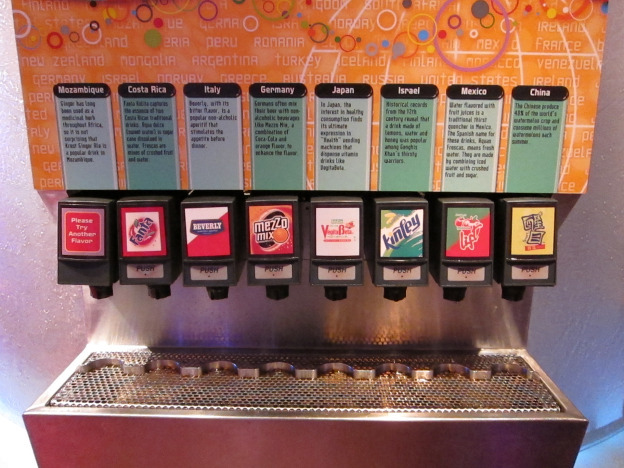 or even the Casey Jr. Splash ‘N’ Soak Station in the Fantasyland section of the Magic Kingdom. Water play is the most fun way to cool down! 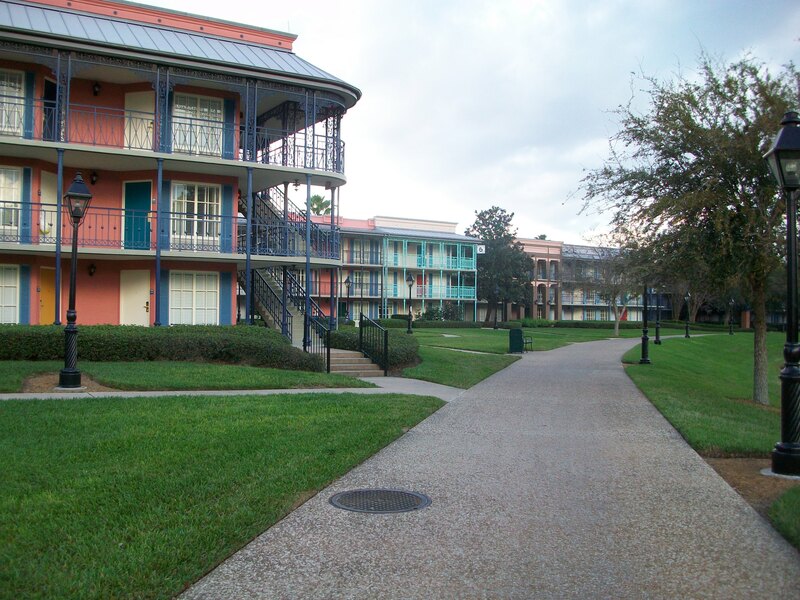 4) Arriving early in the morning and enjoying the parks before the heat of the day really comes out is the BEST way to avoid overheating at Disney. Mid-day is when the heat gets really bad, so if you can avoid it by getting most of your intensive park touring in the morning morning that will leave the afternoon free for swimming or relaxing in the air conditioning. It’s a win-win, really! How do you cool down at Disney? Whats your favorite frozen treat to enjoy? 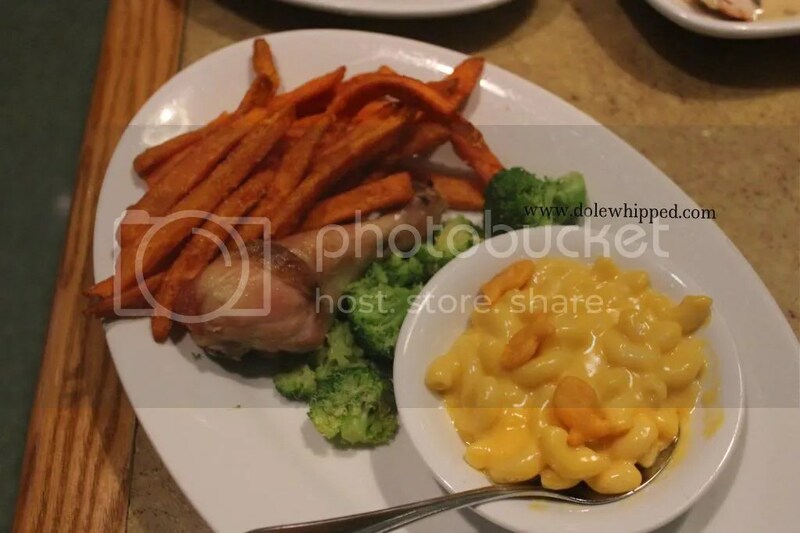 This character meal is served family-style. 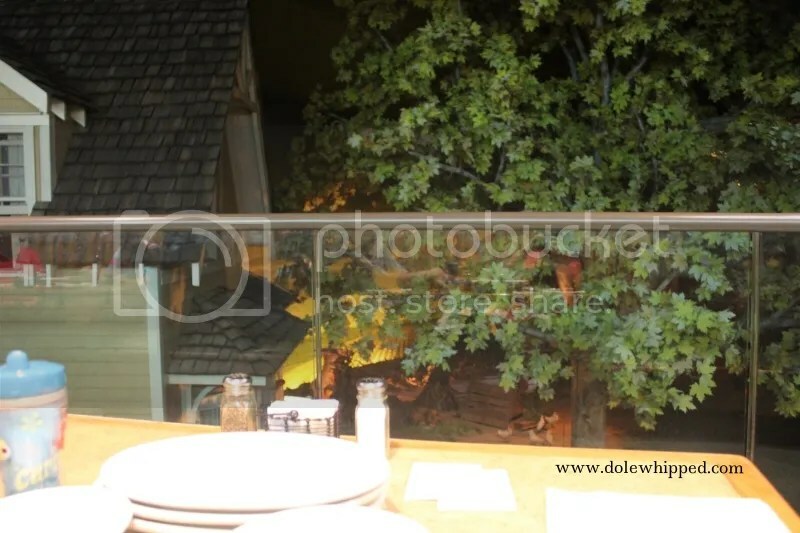 The restaurant rotates extremely slowly and you rotate through different scenes of the Living with the Land ride. 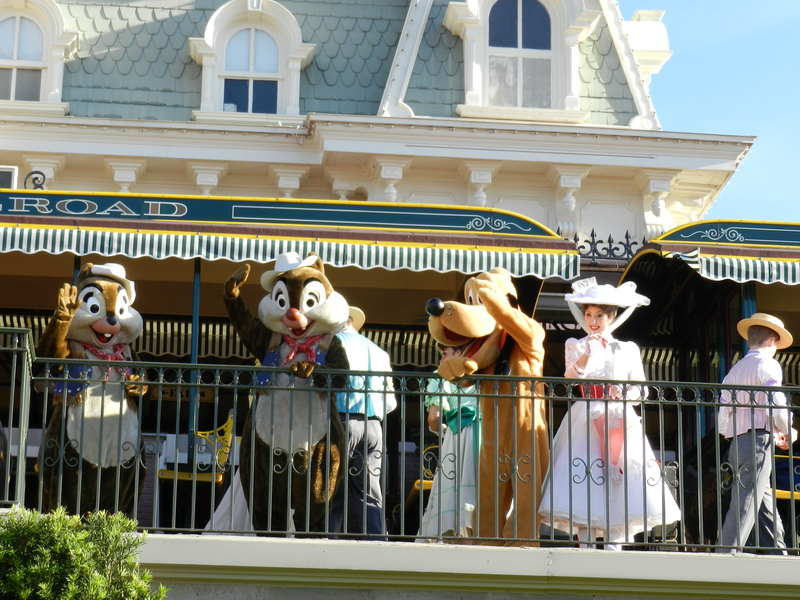 The four characters here were a lot of fun and they visited us more than once! 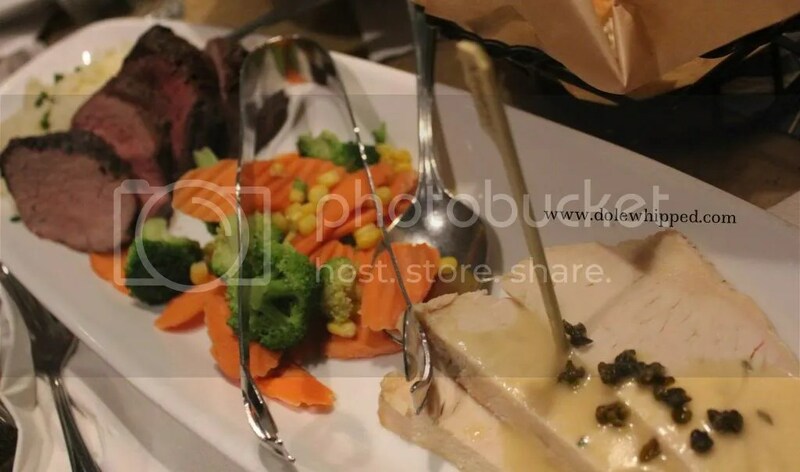 Roasted All-Natural Turkey Breast served with Whole-Grain Rice Pilaf, Steamed Broccoli, and Fruit Cup. We truly enjoyed our meal here. 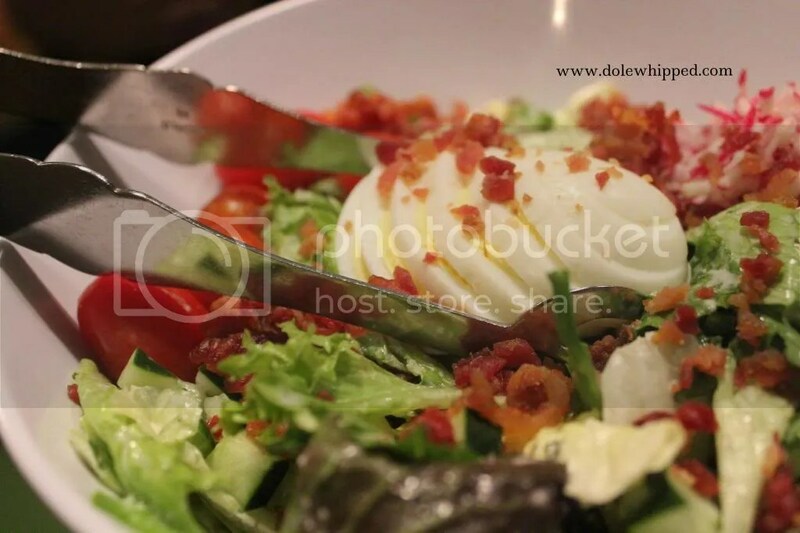 The food is basic and simple, but well executed. We will definitely be back. 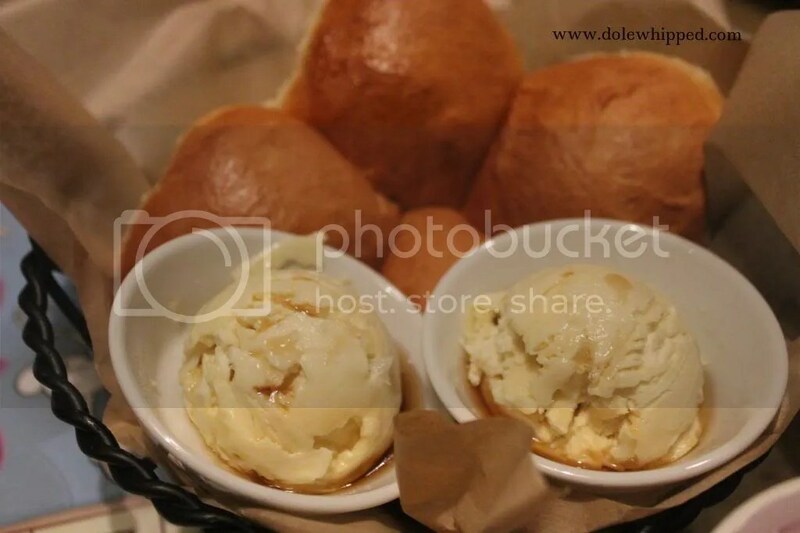 The chef sent out some warmed bread and I got to enjoy that delicious orange blossom butter. 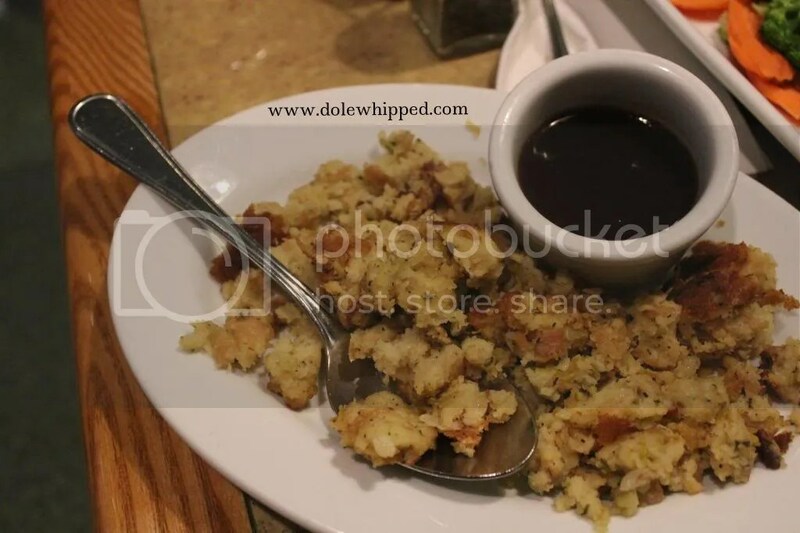 Most of the items were actually gluten free, with the exception of the stuffing, which was brought out on a separate plate. The gluten-free dessert was from frozen pre-made cookies. 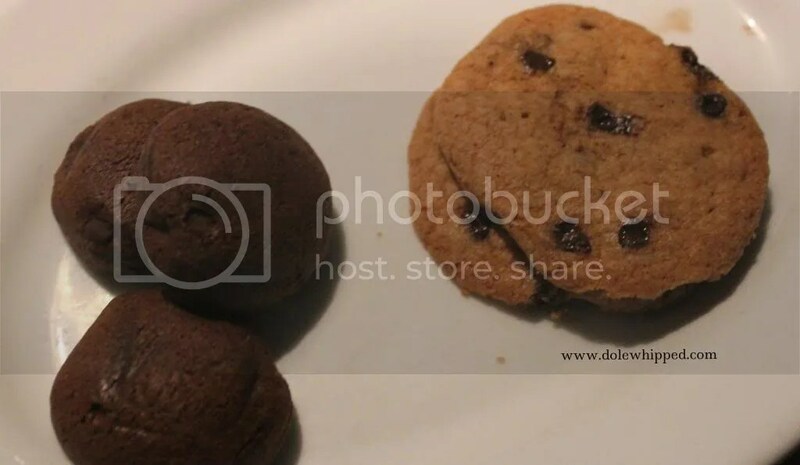 There was nothing wrong with the cookies, but I always appreciate how some restaurants go above and beyond for Celiac customers. 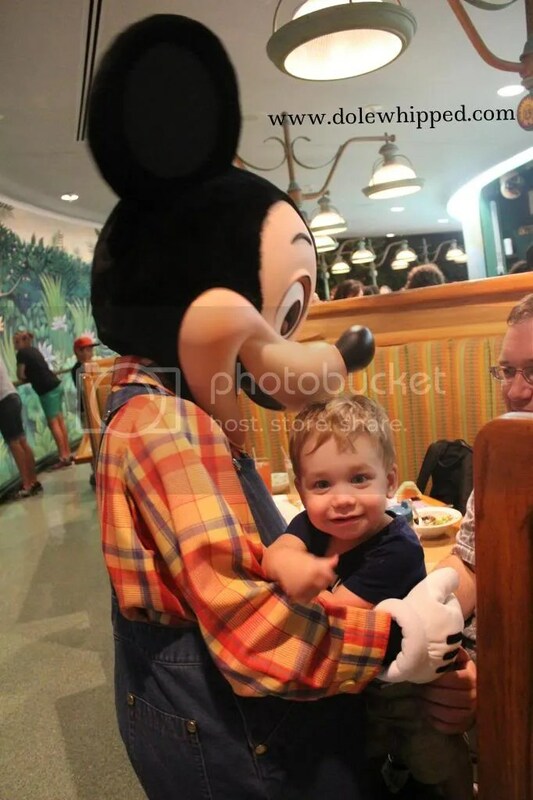 The characters here are pretty laid back and have always spent a lot time with my son. I highly recommend this meal for kids because the characters are great and the kids can revel in the fact that they ate inside of a ride! If you’re like me, you love scouring Etsy for new ways to spend your money. The site is loaded with all kinds of Disney inspired goodies. I thought it would be nice to highlight a few of them. Feel free to share your own links in the comments! If you’ve got daughters, chances are they’re way into Frozen. 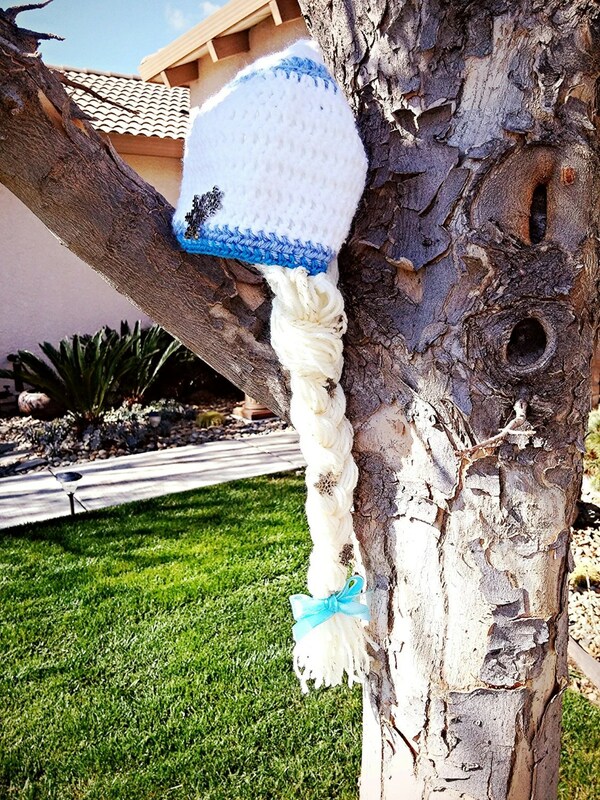 This hand crocheted beanie cap is perfect for the little snow queen in your life. $25 plus shipping from ILikeYarn. 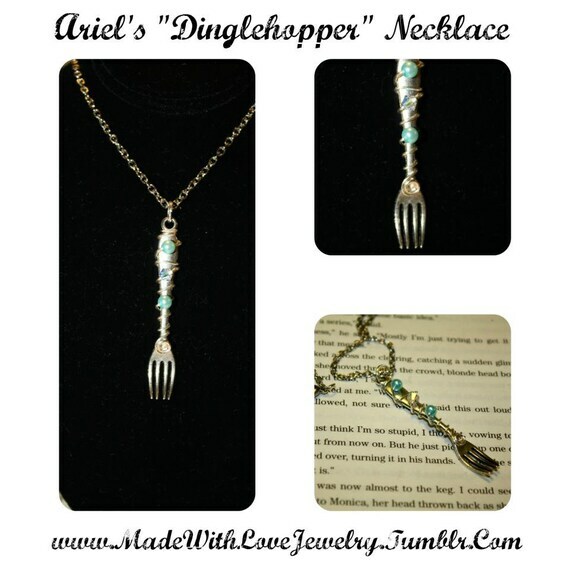 If you love The Little Mermaid, you need this dinglehopper necklace to be part of your world. $15 plus shipping from Shanana. 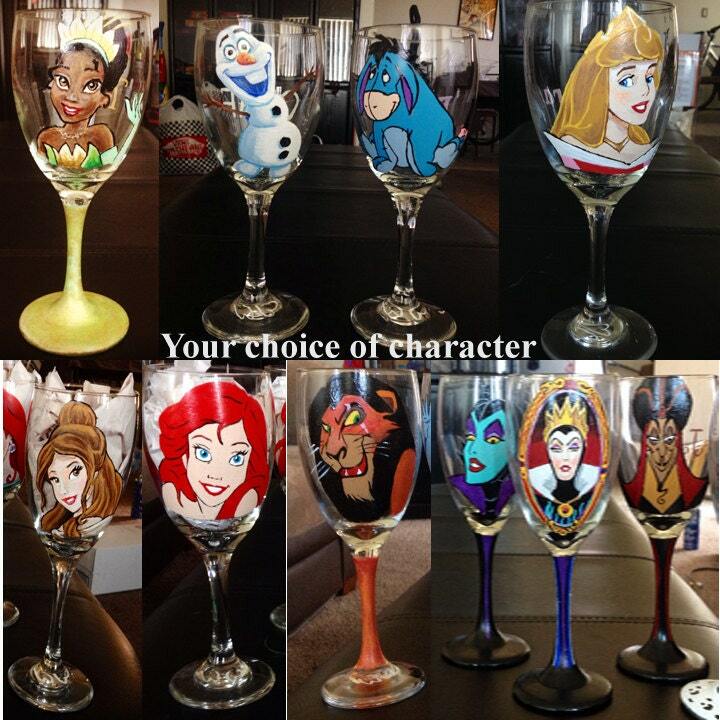 You worked hard today, why not treat yourself to a glass of wine out of one of these amazing hand-painted wineglasses? $50 for a set of two glasses from DrawingsByBOBA. 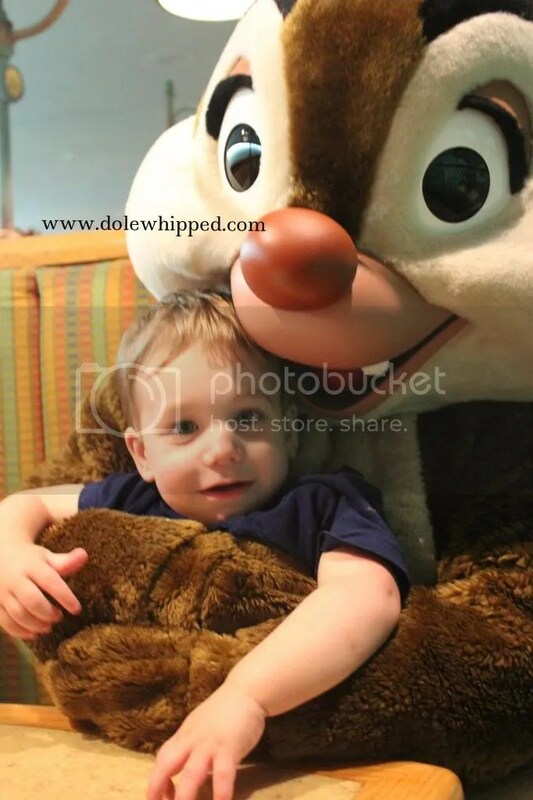 You love Dole Whips, right? You can imagine that cool burst of pineapple on your tongue, can’t you? Why not fragrance your whole house with that amazing scent with one of these vegan soy candles? 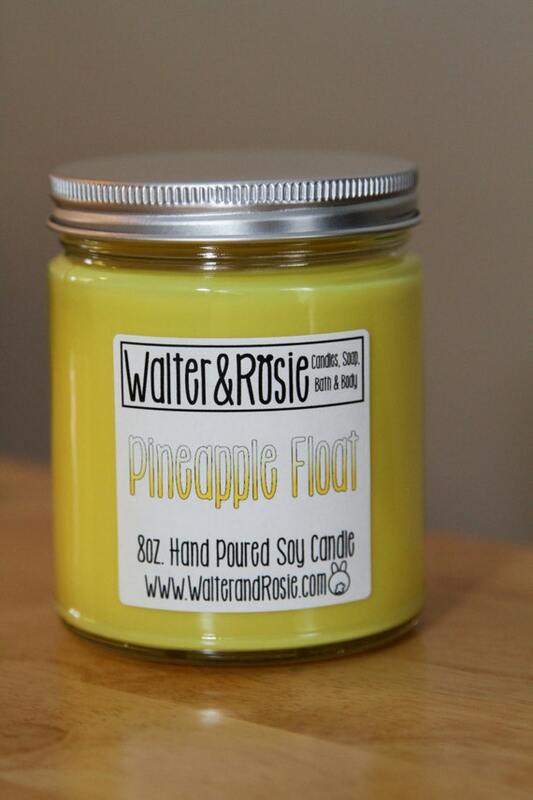 The 8oz candle is on sale for $7 plus shipping from WalterandRosie. There are literally thousands of awesome Disney items available on Etsy so unearth some treasures and share them here!